LLL of Eden Prairie meets every third Tuesday of the month at 10:00 AM. Please contact a Leader for the meeting location. Like us on Facebook to get updates and stay in touch with our Group! 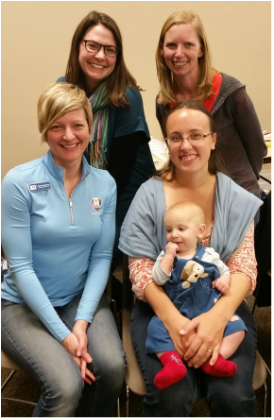 La Leche League Leaders are experienced mothers who are accredited by La Leche League International to help mothers and mothers-to-be with all aspects of breastfeeding. Leaders are ready to offer encouragement, support, information, and practical help to both mothers and interested medical professionals. We are happy to talk with you so please don't hesitate to contact us.